Where does one start with this? So, a few years ago, shortly after the cacophony that was Nine, I found myself completely infatuated by the intricately composed and gracefully performed, Les Miserables. In my mind, Tom Hooper had revived the magical genre that most find out of place in this day and age. However, it lacked the enthusiastic nonchalance that gave musicals that happy-go-lucky edge. 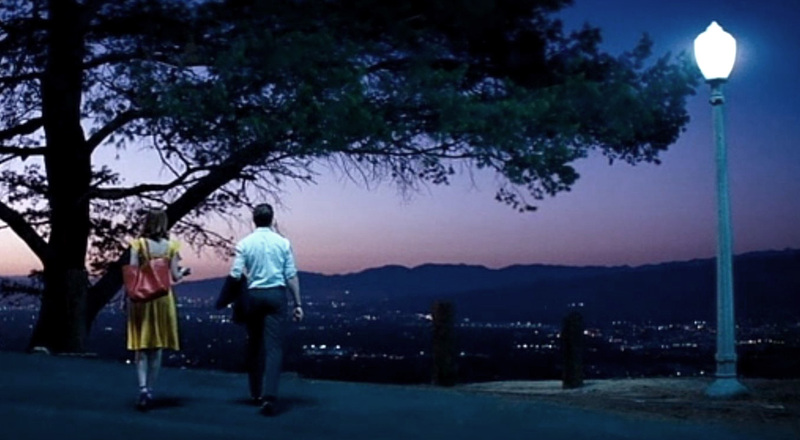 Fast forward 5 years and Damien Chazelle has captured the world with a magical ode to cinema with a musical journey through La La Land. Brightly coloured outfits and synchronized dance sequences, complete with gleeful sky chants and a parkour ninja pouncing about from car to car. This introduction sequence appears to set the tone for what I refer to as cinematic nostalgia. Except, no green screens or CGI; just a locked down highway under the scorching sun, with dollies and cranes masterfully flying overhead and tracking between cars to capture the magic. 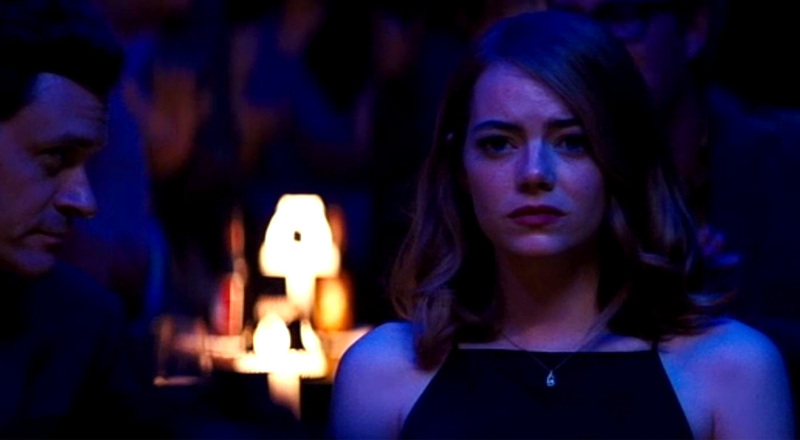 The story surrounds Mia (Emma Stone) and Sebastian (Ryan Gosling); a young aspiring actress and a disillusioned jazz pianist, respectively. As the characters’ stories start to unravel, the picture takes a slightly darker tone. We very calmly segue from overblown hysterical hues (particularly captured in a whirlpool shot from inside a swimming pool) to the beginnings of a toned down introspective appreciation for jazz as an art form. At this point we get a first taste of Sebastian’s true prowess behind the keys. 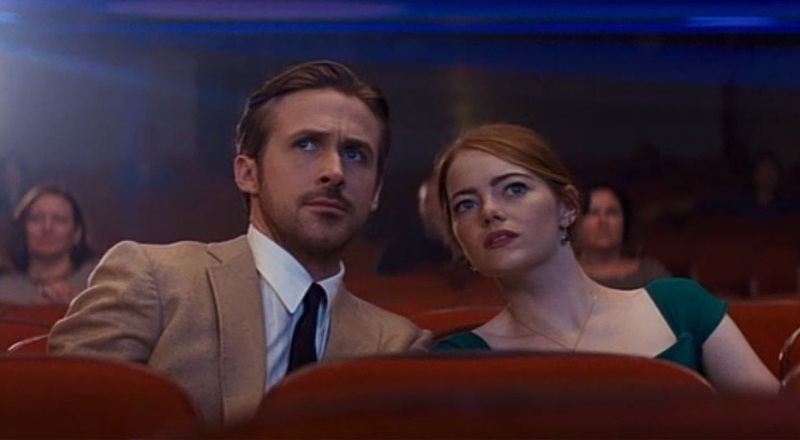 In reality I froze, with a mouthful of overly buttered popcorn, eyes – wide and tearful, thinking “there’s no way Ryan Gosling just played that” come to find out – he did! But, let’s not get into that. 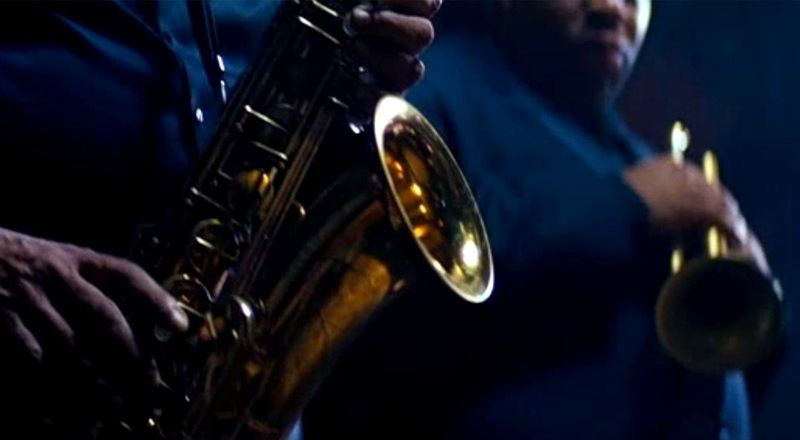 From here the film jumps back and forth between musical themes. 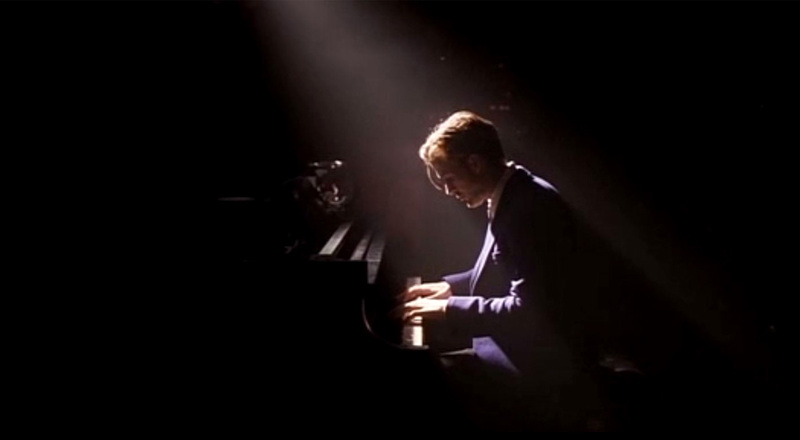 However, a highlight worth noting is the ‘Fred Astaire’ scene, as I call it; with just enough ambient lighting in the background (over Los Angeles) to make Vincente Minnelli roll over in exuberance. Of course there is a randomly placed lamp post that has no other function than to facilitate an audacious tap dance sequence. 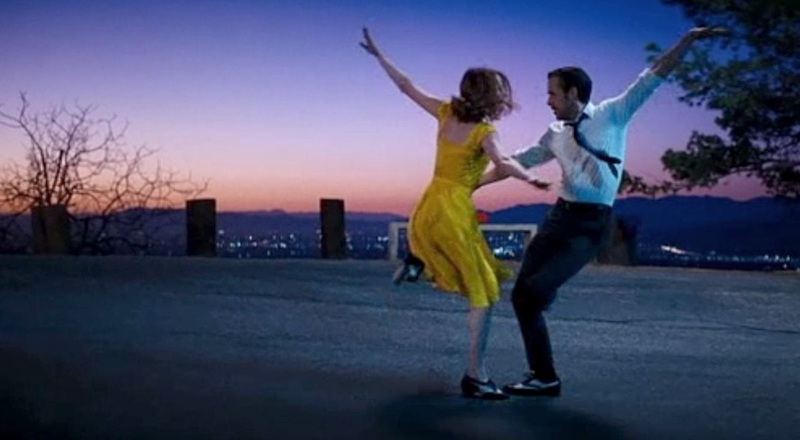 This set has Gosling and Stone dazzle with impressive footwork, complete with Gene Kelly-esque wrist flicks and foot slides. Here, Chazelle wears his influence on his sleeve, but only just. There is so much authenticity involved that one can only sit back in awe and anticipate the next set. “It’s like Rebel Without A Cause“… “I got the bullets”…….. “oh wait, you’ve never seen it?”… (story of my life). For me, the most authentic moment is where they agree to do a bit of ‘research’. Naturally, because you don’t just fall in love with someone on sight, and be on your jolly way, right? (Not even when she is wearing an elegant black dress in the middle of July). You’ve got to engage in extraneous ‘research’ that completely requires both of you to always be present, no? A tap, a flash, a bash… and suddenly it’s all a little less musical and a bit more dramatic, with the Jazz phasing out, replaced by cheesy new-age pop-py sort of R&B. It starts to lose me for a second, but then there is a significant shift in gears in the film and ultimately a change in their relationship. It’s that moment where the drive and passion reaches a point of achievement, but it’s not exactly what you were hoping for. It somewhat drives you away from what you have grown to desire through working towards that goal. The process now feels more valuable than the reward. The film plateaus. The notion of love being a factor of chance, fed by moments of luck and fate, does not sit very comfortably with the concept of our art (passion). Art is driven and worked at, day and night; a constant yet subconscious push towards perfection, like a swan kicking frantically beneath the water while gracefully gliding above. This tension between love and passion (or passion and career) opens up a interesting debate that grips you from this point all the way to the end. The reality is that they built each other up to take charge of their passions and achieve their dreams, however these dreams had only one thing standing in their way; each other. 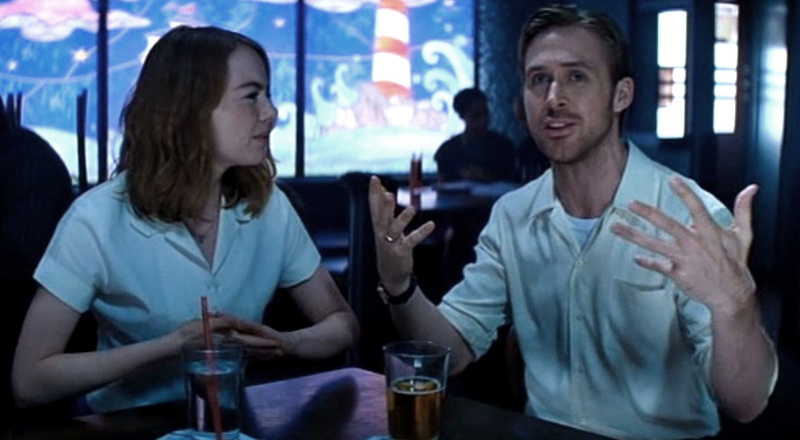 This for me, is what makes La La Land an exceptional picture; the conflict and tension of passion, ambition, love and everything in between – gracefully portrayed in the midst of tap dancing sequences and bellowing saxophones. How do we navigate the mine-swept terrain of love and ambition?